Dr. Elihu Ledesma got his medical degree and residency in general surgery from University of Puerto Rico. He then did a fellowship in medical oncology at Roswell Park Cancer Institute. Dr. Ledesma is board certified in surgery and has over 20 years of practice. 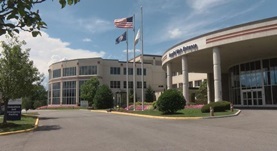 He is currently affiliated with Lewis-Gale Hospital. Dr. Elihu J. Ledesma has contributed to 3 publications. Stokes, J.B., Graw, K.S., Dengel, L.T., Swenson, B.R., Bauer, T.W., Slingluff, C.L., Ledesma, E.J. ; J Clin Oncol. 2009-08-10. Gazoni, L.M., Hedrick, T.L., Smith, P.W., Friel, C.M., Swenson, B.R., Adams, J.D., Lisle, T.C., Foley, E.F., Ledesma, E.J. ; Am Surg. 2008 Feb. Screening practices of patients presenting for resection of a colorectal neoplasm. Hedrick, T.L., Galloway, R.P., McElearney, S.T., Smith, R.L., Ledesma, E.J., Wilson, W.H., Sawyer, R.G., Friel, C.M., Foley, E.F.; Am Surg. 2006 Jan.